Are you looking for fragrant garden plants to make your garden invitingly sweet-scented this year? For those of us who love spending time in the garden, looking forward to summer is at least partly about anticipating the sweet smell of summer flowering plants, whether the herbal zing of lavender or the heady waft of jasmine. 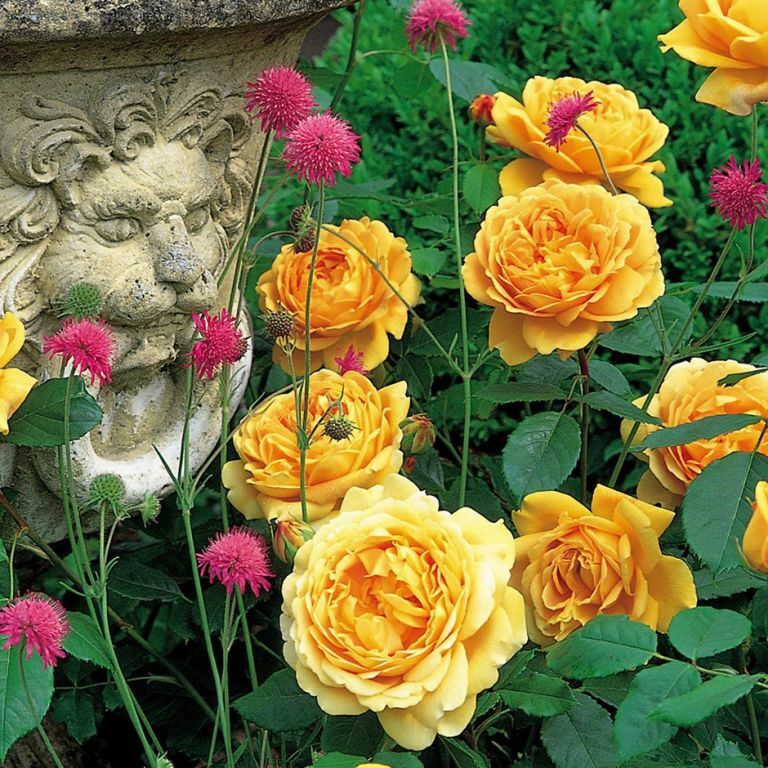 In this feature, we cover all the best fragrant plants for the garden. For more advice, find out how to choose plants for your garden and check out our sourcebook of top garden suppliers for all your gardening needs. Trachelospermum jasminoides, or Star Jasmine, is a classic fragrant garden plant, its sweet scent travelling through the air all summer long. This variety of jasmine is very fragrant and grows very well against sunny walls. Cut back after flowering. In frost prone areas, grow in pots of loam-based potting compost, such as John Innes No2 and move to a frost-free spot in winter. Find more ideas for growing a vertical garden in our guide. There are lots of different varieties of honeysuckle, not all of them highly fragrant, and some evergreen. Our favourite, though, is the traditional English wild honeysuckle, which smells amazing and attracts pollinators. It is deciduous, however, and will lose its leaves in winter. Cut back by about a third after flowering has finished; mulch generously in early spring. Find out more about growing a wildlife garden in our guide. Another traditional favourite, and one of the very best plants for bees, lavender and its sweet herbal scent are synonymous with the height of summer. Our tip is to always go for varieties that have 'Lavandula angustifolia' in the title, as other cultivars may not be scented. For a dreamy, light-coloured variation on the traditional flower, try lavender 'Melissa Lilac'. Cut back the stalks after the flowers have faded. Carefully trim back in April, taking care not to cut into old wood. Find more purple flowering garden plants to complement lavender. A rose to end all roses, 'Golden Celebration' smells even more stunning than it looks, like tea and apple pie (yes, really). The rose is deciduous and will lose all its leaves during winter, but it's a small price to pay for the gorgeous display the following summer. Fertilise every spring; prune in late winter by approximately a third; dead head after the first flowering to encourage more flowers. Another cottage garden classic, the humble sweet pea is powerful when it comes to scent, and makes a lovely fragrant cut flower. Sweet peas are also highly suited to wey British summers. There are lots of varities out there, in a range of colours, but for the intensity of both colour and fragrance, 'Oxford Blue' is one to beat. Sweet peas have deep roots and will need lots of room to develop those roots, so will need a deep container. Sow seeds indoors in late winter, or sow directly where they are to flower in March/April. Pinch out the tips of the plants to encourage bushier growth and more flowers. Find more ideas and advice for container gardening in our guide.